Due to commitments in my non-bigfooting life (which I sometimes forget I even have), I haven't been able to spend a night in the field for many weeks. However, I have not been idle. I seem to do bigfoot-related stuff on an almost daily basis. On March 4, 2009, I was the featured guest on the internet radio show, "Let's Talk Bigfoot". Kathy Strain interviewed me for the hour-long show, and we had several questions via phone by our live online audience. Kathy is a good friend and one of my bigfooting mentors from many years ago. You can download a podcast of my interview from the LTB link above, or you can find it on the media page (near the bottom) at http://www.northamericanbigfoot.com/. In February, I took a drive to Tillamook, OR to try my hand at digging clams. After all, if you want to see a 'squatch, you have to be a 'squatch. It wasn't as easy as I hoped, and I only managed to get some small ones, which I promptly returned to their muddy bed. It was my first attempt at clamming, though. I'm sure I'll get better as time goes on. I plan on using this knowledge I will obtain from being a successful clammer to increase my odds at obtaining thermal images of bigfoots on the clam beds. Such footage would be compelling and potentially quite clear, if it was close enough, especially since there would be no cover for the sasquatches on the flats. Another reason this should be a high priority would be the supporting evidence of footprints that could be potentially documented and cast as the creatures make their way across the mudflats. I have made a number of day trips into the local mountains as well. When going out for the day, I target areas that would hold footprints, such as river bottoms and ponds. I have found it difficult to reach my destinations due to the persistent snow that still hangs at a low elevation. I generally drive as far as I dare, get out and then walk the road a ways back looking for snow prints or other sign. I have found sign of deer, elk, and bear, but not of my specific animal of interest. 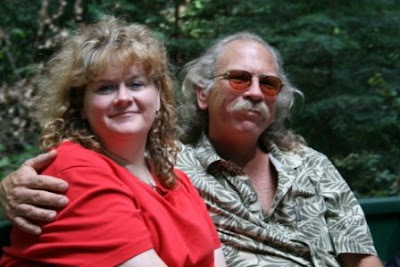 Many people have been reaching out to me through the http://www.northamericanbigfoot.com/ site. I have recently heard about an area with a history of vocalizations outside of Estacada, sightings from Idaho, and have been sent some pretty decent photographs of possible footprints and what appears to be a handprint. These photos will appear on http://www.northamericanbigfoot.com/ over the next few weeks. Speaking of the website, I am slowly gathering information on some of the casts I have in my collection to post on the cast database. If you know something that I don't about any of the casts, please tell me about it so I can update the page. I have also added a couple artists to the website under the Cultural Impact section, and am sitting on enough information to add a couple more pages very soon. Spring Break is only a week away, and I plan on spending the bulk of it in the woods, trying for photographic evidence of our furry friend. A unique opportunity has presented itself to access some remote locations in Washington with several bigfooter friends of mine. One area that will be visited produced vocalizations and good footprints just last fall. The majority of the week will be spent alone, so if I never blog after this vacation again, just know that bigfoot got me and I died happy. Of course, the most fantastic thing that looms on my bigfoot radar is the Yakima Bigfoot Round-up this May. It will undoubtedly be the bigfoot party of the year, and a virtual who's-who of the bigfoot world. This event is being organized by Tom Yamarone (http://www.bigfootsongs.com/, where a nice article about me was recently posted), Paul Graves (click here to see his bigfoot art), and James "Bobo" Fay (if you gotta ask, you don't need to know). Thanks for checking in to my little bigfoot world. More soon. "Head's-up" found on a logging road sign leading to Skookum Meadows.